We use third-party advertising companies to serve ads when you visit our websites. These companies may use information (not including your name, address, email address, or telephone number) about your visits to this and other websites in order to provide advertisements about goods and services of interest to you. If you would like more information about this practice and to know your choices about not having this information used by these companies, please visit the websites of the individual companies involved. JDP ECON Home Home page of JDP Econ, the Economic Research firm that develops economic decision models on the topics of World's Fairs, Expositions, Major League Baseball, and other systemic problems, plus our new publishing division. About Us Presents an overview of the various current and past studies by JDP Econ, as well as news on the industries of World Expositions, the Bureau of International Exhibitions, the Olympic Games, and Major League Baseball. JDP ECON, including the World's Fair Decision Model and the Baseball Evaluation Player Grade and Salary Projections system. World's Fair Decision Model The ten year study of the past attendance dynamics of the world expo and exhibition movement, including events sanctioned by the Bureau of International Exhibitions. Expodynamics New reports on the expo industry under the Expocheck and Expodynamics labels. Expocheck Series of check reports on upcoming events under the under the Expocheck labels. Bureau of International Exhibitions Explanation of the Paris bureau which regulates and sanctions official world's fair, world expos, and world exhibitions. Study Participants List of study participants for the World's Fair Decision Model. Baseball Evaluation Explanation of the Baseball Evaluation Player Grade and Salary Projection system from Doubleday to Eternity. Developed by JDP Econ. Visit baseballevaluation.com for more details. baseballevaluation.com Website of the Baseball Evaluation system and Stat Geek Baseball. Contact Mailing address, phone, fax, and email contact points for JDP Econ. JDP Publishing Established in 2003 by JDP Econ to publish economic and other books. JDP Econ Publications, JDP Publications, and KBY Books are distributed nationally by Ingram Book Group and available through all major online retailers. Now diversified into web publishing projects, including baseballevaluation.com and our partnership with americasbesthistory.com.. 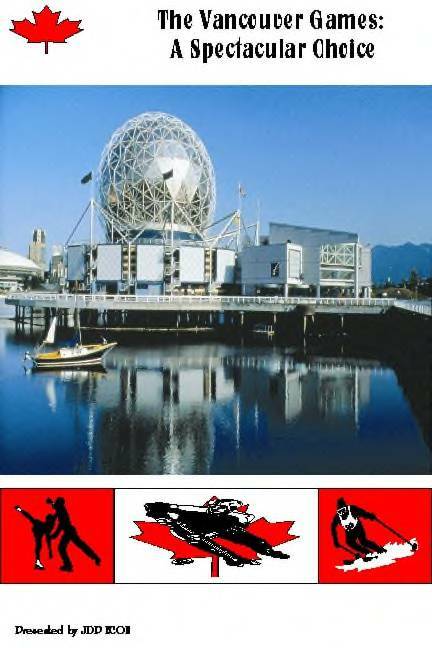 The Vancouver Games: A Spectacular Choice The first book published using the data of the World's Fair Decision Model, the Vancouver Games: A Spectacular Choice, presents the capability of the city of Vancouver as it follows in the footsteps of Canada's Expo and Olympics Success. 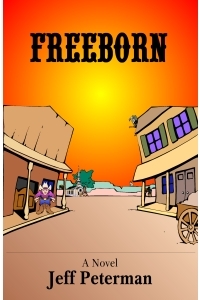 Freeborn Western fiction with a twist with the Novel Freeborn. The Tale about the wild west's most unlikely hero. Freeborn Characters List and description of the characters from Freeborn. America's Best History JDP Publishing and americasbesthistory.com. From sea to shining sea, America's Best History tackels the topic of historic tourism at the best historic landmarks & national parks in America. Merchandise and Souvenirs Souvenir clothing and merchandise from americasbesthistory.com and the best historic sites and national parks in the U.S.A. Now at teepossible.com. T-shirts and gifts for fun, for history, for sports. Find out what Expocheck Can Do! Baseball Stats, Best Ever Lists, Player Grades, and Salary Projections from Doubleday to Eternity.